Does my Veteran need to bring a coat? Badger Honor Flight provides each Veteran and guardian with a light jacket that they get to keep. We suggest they dress in layers based upon the forecast. Can I meet/surprise my Veteran in D.C.? Yes, however you will not be able to get past security. Therefore, you can meet the Veterans right outside TSA security in Terminal C. Yes, you can sign up to greet them at Reagan Airport (DCA) in DC using the link for our flight on this page. 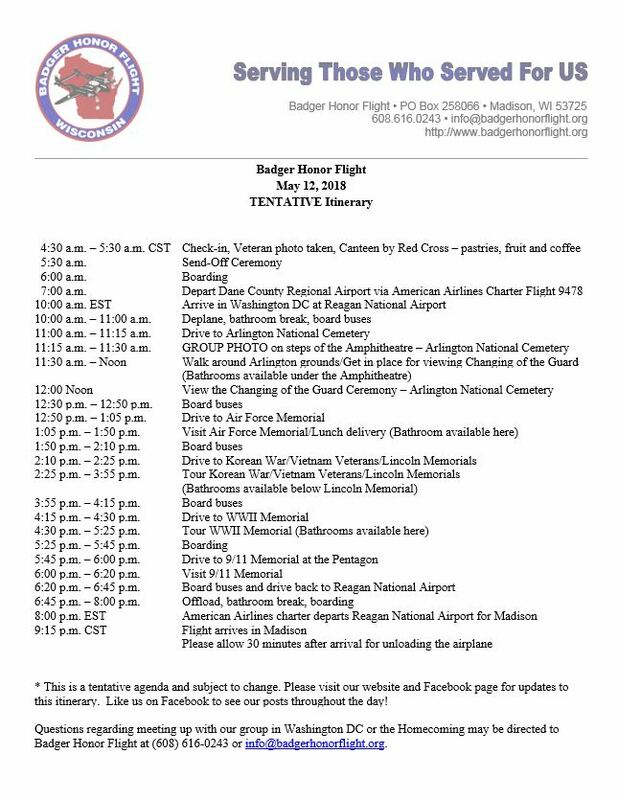 Alternatively, you can plan to meet us at one of the memorials we will be stopping at that day. Can I ride along on the bus? Can I follow the group around town? BHF doesn’t allow ride alongs on our buses, but you can meet us at the various stops. Please check the itinerary for the times. Where is the best place to meet/surprise the Veteran during the day? All stops are good places to meet the Veteran! You may want to consider either the Korea/Lincoln/Vietnam Memorial stop as it is our longest stop with lots of free time. How do I know where the group is from stop to stop? BHF posts updates on our Facebook page throughout the day – follow along with us here! My Veteran has asked me to be his Guardian because I live near D.C. When/where do I get my Guardian training? 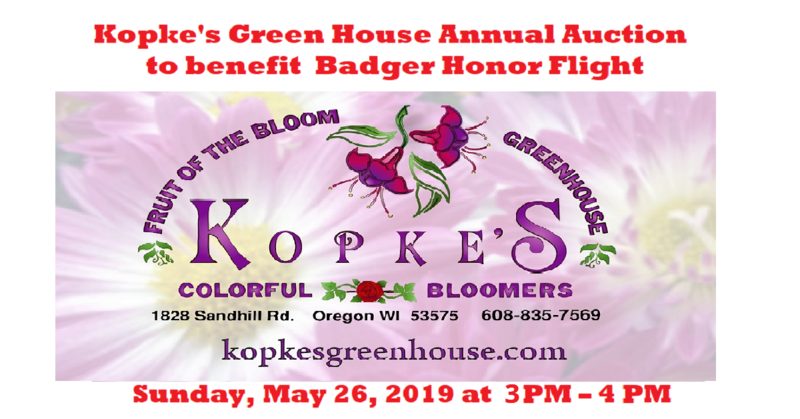 Please contact Alexis MacDonald and Niki Sollinger badgerhonorflightdc@gmail.com for information regarding guardian training. Who will take my Mail Call letters for the airplane? 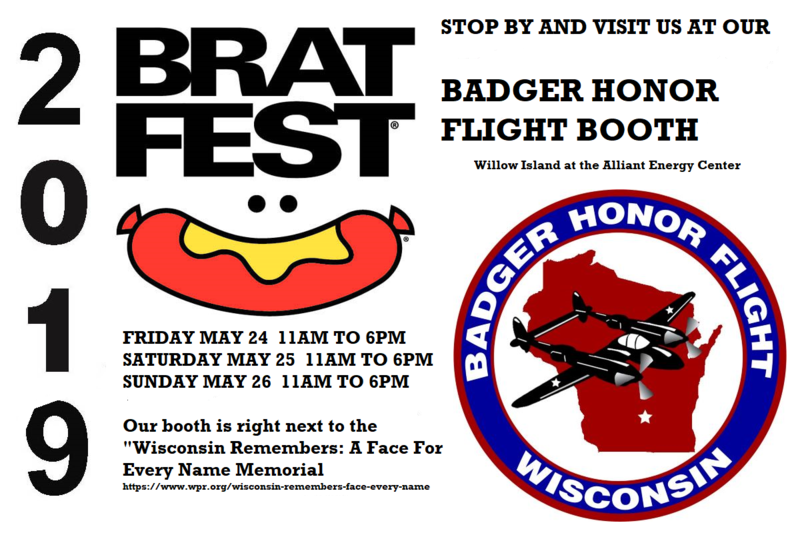 Please contact Marnette Voeltz (608-692-2100) or Hazel Zimbric (608-320-1279) for information regarding how to get these to BHF so we may distribute them on the plane. What time do we need to be at the airport for the Welcome Home? We suggest that you arrive at about an hour before the plane lands due to the large crowds we expect at this event. Please be sure to check official itinerary for the plane schedule. What door should we go in? BHF recommends you enter the airport either through Door 3 or Door 4. BHF does provide chairs to those who need one. Please do not bring your own. If you or a family member are in need of a chair, please see a BHF volunteer in a yellow t-shirt that night. 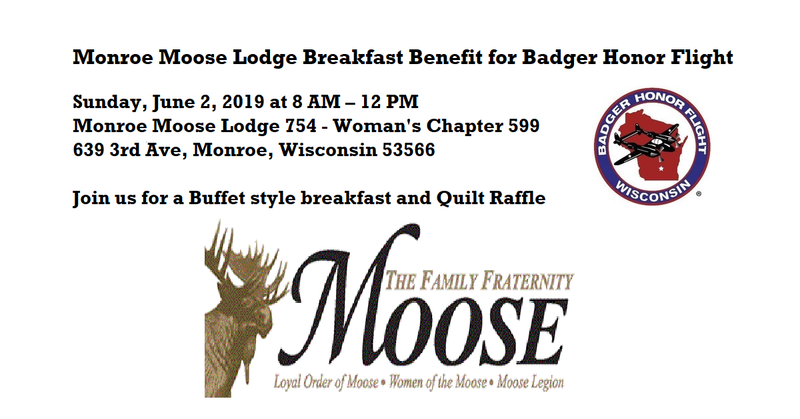 How can I buy a red Badger Honor Flight shirt? These shirts along with other BHF merchandise is available at our information table located near Door 3. Yes, you may bring signs. BHF also has a sign making area located between Door 3 and Door 4. Is there a handicapped area for watching the parade? Unfortunately, there is not a handicap area. However, you will find that folks will generally allow those requiring either a wheelchair or chair front row seating. There are several bathrooms located throughout Dane County Regional Airport. There is plenty of parking available in either the surface lots or in the parking ramps. The airport does charge a fee for parking as you exit the lot that evening. What time does the plane land? The plane arrival varies so check the itinerary posted. It does take about 15-20 minutes to unload the first set of Veterans. We ask that everyone stay until the last Veteran is through the parade route.